when i wanted to update the mac, this thing appear, so i can't. maybe it's cuz of some apps that i've downloaded, but i couldn't know which one is! i need to update the mac. i tried to search for solutions, but there's no such a problem. please help :( i'm really suffering and bored cuz of this problem. thanks. Click the [Click for support] links for help with non-Apple products. Click the [Click for details] links for more information about that line. Time Machine: ℹ️ Time Machine not configured! Go to system preferences- user& groups- you will see your log in profile. Click on the Log in items and disable anything using the (-) sign to remove. Restart your system. If the MPlayer is still running STOP it. To do that press 3 keys all together [alt (option)+ cmd +esc]. A new widow will show where you can select the MPlayer and force quit it. Finally lets repair your User profile. You will boot into the Repair Utilities screen. Instead, click on the icon for your Mac’s hard drive at the top. From the drop-down below it, select the user account where you are having issues. The reset process takes a couple of minutes. When it’s done, quit the programs you’ve opened and restart your Mac. 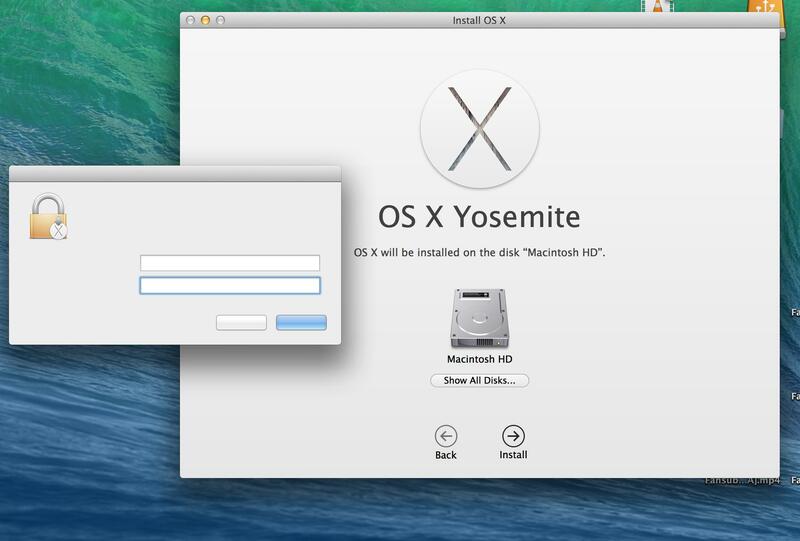 If none of the above worked I am afraid you will need to restore your Mavericks first before Installing Yosemite. To that use the cmd+r again and follow the instructions how to restore. Normally you data will not be touched during this process, but if you have back up it is better.